Send the gift everybody loves. No artificial flavors, colorings or preservatives. We use real fruit in all our recipes and fresh fruit in most! Choose from Several Delicious Flavors. 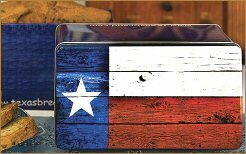 Each golden brown loaf is shipped in a Commemorative Texas Tin. 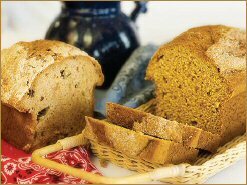 All breads are shipped daily from our bakery with prices starting at under $25. Order today!